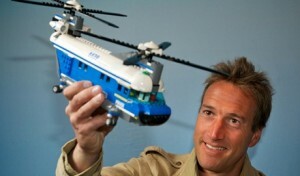 Lego has named Ben Fogle as its first ever brand ambassador, to front the social media campaign for the Lego City brand released today. The campaign named ‘The Great Forest Escape’ tells the tale of the Forest Police chasing villains in to the woods. Aimed at young children and parents, the campaign incorporates the use of Facebook and encourages people to post their Forest Police Lego constructions. Lego City say they want to use social media so consumers ‘immerse’ themselves in the range, and this campaign aims to make the Lego characters realistic, effectively bringing them to life. Choosing Fogle to front this campaign was a clever move from Lego, using his adventurous but also family friendly image. Lego aim for him to ‘inspire’ people and this fits in nicely with the social media campaign. In my opinion this was a fine choice of brand ambassador by the company.